What are the problems in developing Spring Based Applications? How does Spring Boot help in solving these problems? What are important concepts to understand in Spring Boot? What is Spring Boot Auto Configuration? What are Spring Boot Starter Projects? Here’s the official definition of Spring Boot from the Spring Boot Web Site. Spring Boot makes it easy to create stand-alone, production-ready Spring-based application that is ready to run. Most Spring Boot applications need very little Spring configuration. What does it mean? Let’s start with looking at Spring Framework. The core feature of Spring framework is dependency injection. Spring alsoe provides great integration with other frameworks, like Hibernate. Spring provides a few frameworks of its own - for example, Spring MVC for developing web applications and REST API. The configuration story is the same for any Spring-based application. Why do we need to do the exact same thing for every project involving Spring? Why not just abstract it away, and help the developer build applications quicker? Spring Boot Auto Configuration looks to bring more intelligence into application configuration. For example, it looks to build a few patterns, identify what JAR files are available, and looks to auto-configure a lot of the things. Spring Boot ensures that a developer can build a new Spring project in a few minutes, instead of hours. All we need to do is provide the frameworks that are needed by the application, and Spring Boot magically auto configures them. Spring Boot also takes the responsibility of managing versions of dependent libraries. You just need to migrate to the latest version of Spring Boot, and the corresponding compatible versions of all the frameworks being used are directly available for you. Why Do You Need Spring Boot? Spring Boot reduces the startup time in creating new projects. You can add frameworks and Spring Boot automatically configures them for you. In the world of microservices, as we create a number of smaller microservices instead of a large monolith, Spring Boot helps us start up projects quickly. 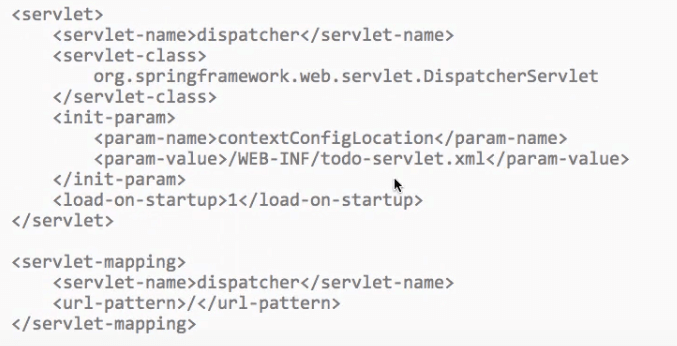 spring-boot-starter-web-services: Quickly build SOAP Web Services. spring-boot-starter-web: Useful to build RESTful web applications, using Spring MVC. It uses Tomcat as the default embedded container. spring-boot-starter-test: Used for testing Spring Boot applications, using libraries such as JUnit, Hamcrest, and Mockito. spring-boot-starter-hateoas: Useful for building hypermedia-based RESTful web applications, using Spring MVC and Spring HATEOAS. Spring Boot makes the life of a developer a lot easier by providing important debug and deployment tools. In this article, we had a quick look at the Spring Boot Framework. We saw that the Spring framework is very useful to developers, but Spring projects had a large configuration overhead. Spring Boot adds some intelligence with autoconfiguration. It greatly reduces project startup time and provides easier mechanism - called starter projects - for developing different kinds of applications.